The start of year 2017 opened up positive changes for Pag-Ibig Fund or Home Development Mutual Fund. This is a Philippine government agency that handles all inquiries and services to its members regarding benefit related to personal loans and affordable housing loan and development programs. 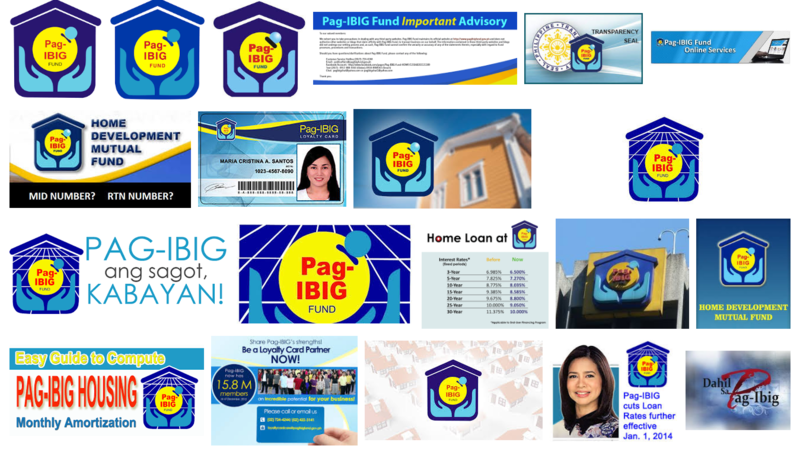 Termed as the most affordable offered packages for buying and financing a home, Pag-Ibig Fund is today's hope for millions of its members thru the HDMF housing loan program. To understand more, allow me to open up a short history about this agency and reveal core services that make up majority of its purpose in serving the Filipino people not just in Metro Manila but all over the world. So very little did we know about the agency that even I upon writing this review didn't know and realize that there is actually an acronym to Pag-IBIG. Note that the last 4 letters on its name is capitalized. You will understand more as I reveal to you the only true meaning of the words - acronym which stands for Pagtutulungan sa Kinabukasan: Ikaw, Bangko, Industriya at Gobyerno. Hence, Pag-IBIG was born. The coined term "fund" which means savings from out of the end result of income or thru work is a unique term to point to service by the Philippine government to offer for Pinoys and OFW working, living or have migrated abroad. There are certain qualifications otherwise which govern membership. In order to know if you can avail to become a member of Pag-IBIG Fund, please visit any nearby branches in your residence or work area. In it's early establishment, Pag-IBIG Fund was born to provide savings program and affordable shelter financing for the Filipino worker. HDMF offers its members short-term personal loans and access to an affordable housing loan program. In 2009, thru Republic Act of 9679 or Home Development Mutual Fund Law, the service has become a mandatory system for both locally employed individuals as well as overseas Filipino workers or those employed by foreign-based companies. These individuals are now required to be registered by their respective employers to the HDMF. First off, I'd like to enlighten you that all members of the Fund is obliged to pay or deposit a monthly regular contribution which is equivalent to an amount that is based from a table provided by Pag-IBIG. This contribution will automatically be deducted from the monthly basic salary of all employed workers by their employer and to be remitted to Pag-IBIG. The purpose of this is to provide both savings and an affordable shelter should the need arise. Thru the member savings arise different types of loan programs which include Pag-IBIG Fund housing loan program and personal loan. These types of loans are offered to all qualified members who qualify based from the included list of benefits that members are entitled to avail at a certain point of their number of contributions which is allowed by the agency thru its own applicable laws. Like the SSS and GSIS, HDMF had their own set of loan services offered in all facilities or offices / branches all over the Philippines. We have listed the different loans that Pag-IBIG members can avail from the agency as soon as they qualify based from the number of contributions made. Multi-Purpose Loan - purposes of minor home improvement, livelihood, medical, educational, purchase of appliance and furniture and other needs. Provident Loan from Savings - personal loan based from provident savings fund. Calamity Loan - can borrow up to a maximum of 80% total accumulated contributions or TAV. Benefits Claim - it is required that member must have remitted at least 240 monthly membership contributions with Pag-IBIG. Just like the SSS ID (UMID), Pag-IBIG also had their own ID, this is called the MID or membership ID. The MID number consists of a unique to member only 12-digit number series assigned to only to 1 member. This MID number is to be accomplished by HDMF. Note also of the term RTN or registration tracking number. This refers to the system-generated number issued to a member during or after the completion of an online registration. Take care of these data and never share it anywhere online or offline. This is a secured and member specific number that is unique. No one else has the same set of numbers but the member himself. You can use the MID with all sorts of transactions and document filling up requirements for purposes of identification.